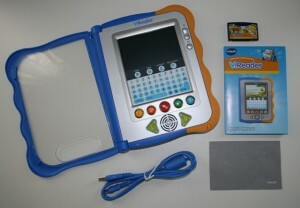 Ramblings from My Journey as a Business Owning Techie Mom: Holiday 2010 Kid Tech Picks! Holiday 2010 Kid Tech Picks! You can build an actual computer that is child friendly by purchasing a standard machine, the myPC Stage I Keyboard™ (http://www.mytechstart.com/), and a nice sized monitor. The machine should be web enabled, have a fast processor and great graphics capability. The younger child will likely be utilizing child software and be on the web- so it will be a good idea to install a program on the machine that will allow you to monitor and/or restrict their usage. There are plenty of programs like this on the market, but one of the best known is Net Nanny (http://www.netnanny.com/ ~$40). You can also create a custom desktop at kidscomputers.com. 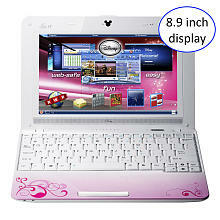 2) Disney’s Netpal is a parents best choice for the older child (ages 6+)- and it has the parental control features built in (http://www.disneystore.com/computers-electronics-disney-netpal-by-asus-netbook-computer-princess-pink/mp/1250080/1000237/)- it retails for ~$350. You can also create a custom desktop at kidscomputers.com. 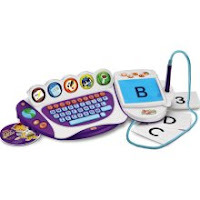 3) Fisher Price released their Computer Cool School Keyboard (http://www.fisher-price.com/fp.aspx?st=10&e=ccslanding) in 2009, that actually plugs into your computer and comes with a software program that allows the child to learn and play without concern of them leaving the program- for this, you will have to purchase additional titles for them to continue playing in the Cool School environment. NOTE: There are plenty of “laptops” for kids that are purely toys- with small dot matrix screens and set content. My child bores with these easily. 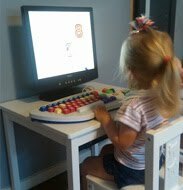 There is so much free, educational content online now- and they want to do what mommy and daddy are doing! 4) iPhones and iPads are also kid grabbers- there are THOUSANDS of applications for kids. However, this is a pricey and slightly non-child friendly investment overall. Fisher Price, Leapfrog and VTech have all produced toy “handhelds” for children- but they have a short half-life as the child quickly realizes that it really is not like their parents’. 5) vTech has come out with a really great eReader this year, called the V-reader, it is perfect for new readers and is just similar enough to mom’s Kindle that they will hold on to it. I would definitely call this a hot tech pick for kids this year.